Meetings, working lunches, client events, product showcases, strategic planning sessions, employee recognition events, holiday parties, orientations and trainings, community events and summer picnics – the catering needs for a business are endless, and also frequently overlooked. Why not partner with a dependable, reputable caterer in the area who already knows the ins and outs of your organization’s needs? Corporate catering makes up a solid portion of Saz’s clientele, and for good reason!  Reasonable pricing, expedient delivery, professional staff, and stress-free planning make it a solid strategy to bring Saz’s in on the action, particularly when your department or organization is seeking to impress event attendees. When you call or email, we’ll give the objective of your event ample consideration when developing a menu suited to your needs. Using creative customization, we are able to maximize value while still providing an exceptional experience for our corporate clients. Add to this a host of service styles and full event planning capabilities (from menu and linens to rentals, venue coordination, transportation and more), and your organization is primed for success from the start.